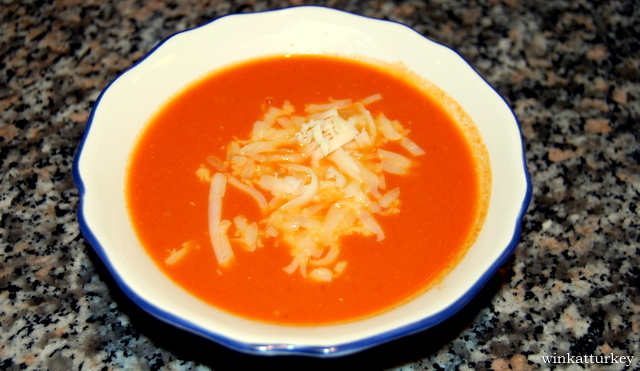 In Turkey one of the most popular dishes, which is part of the staple diet of the people is tomato soup. Very easy to prepare and Lovely. -2/3 mantequilla. tablespoons flour, 2 tablespoons. -2 tablespoons of sunflower oil. 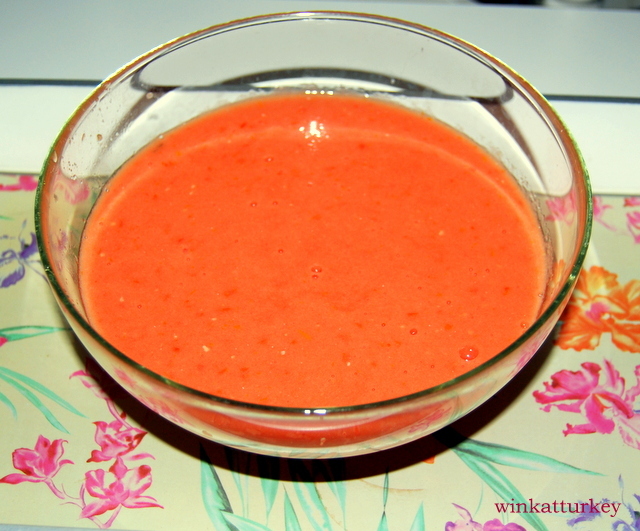 -Salsa fried tomato mashed tomato concentrate 2/3 Spoons (is to give a more reddish color). Grate the tomatoes, without skin and booked. Put in a pan to heat the butter and oil over medium heat. Add the flour and roast. Once you have taken color, add the 2 tablespoons salsa. 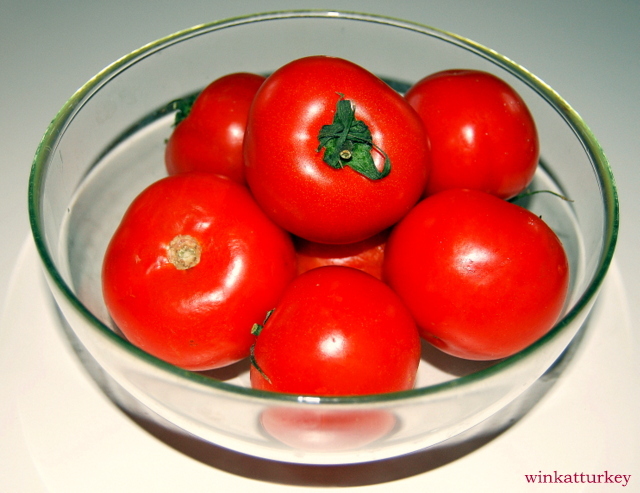 Stir well and add the grated tomatoes and. Sofreímos for all 5 minutes over medium heat, stirring occasionally. Add the water, we put salt and let cooking. Bring to the boil, we 10 minutes on low heat, add cream and keep 5 minutes. If you like a little spicy you can add black pepper. Serving, toss the grated cheese on top and you're ready.